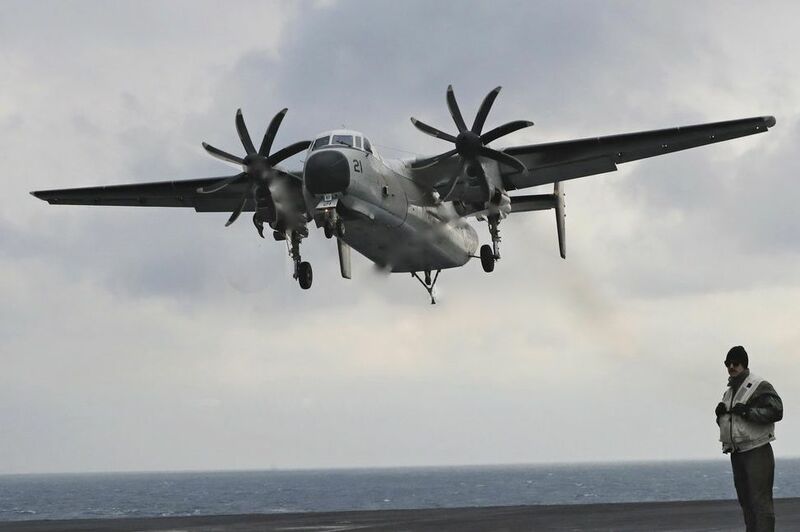 The C-2 'Greyhound' crashed while taking part in an ongoing joint U.S.-Japan naval exercise. TOKYO — The U.S. Navy says eight people who were recovered from the crash of a transport aircraft in the Pacific are in good condition and the search continues for three other missing personnel. The Navy says in a tweet that the eight are on board the USS Ronald Reagan aircraft carrier. Their C-2 “Greyhound” transport plane crashed while on its way to the carrier on Wednesday in the Philippine Sea, where the U.S. and Japanese navies are holding exercises. Japan’s defense ministry says the C-2 aircraft crashed into the Pacific about 90 miles northwest of Okinotorishima, a Japanese atoll. It was taking part in an ongoing joint U.S.-Japan naval exercise.